How does ESSA address SEL? What SEL interventions appear to satisfy ESSA's evidence requirements? What grade levels do these interventions target, and what outcomes do they seek? The reauthorization of the U.S. Elementary and Secondary Education Act, referred to as the Every Student Succeeds Act (ESSA), emphasizes evidence-based interventions while giving states and districts new flexibility on the use of federal funds, including funds that could be used to support social and emotional learning (SEL). The authors review recent evidence on U.S.-based SEL interventions for K–12 students to better inform the use of SEL interventions under ESSA. This report discusses the opportunities for supporting SEL under ESSA, the standards of evidence under ESSA, and SEL interventions that meet the standards of evidence and might be eligible for federal funds through ESSA. Federal, state, and district education policymakers can use this report to identify relevant, evidence-based SEL interventions that meet their local needs. A companion volume (available on the website) catalogues these interventions in more detail and outlines the research that has examined them. The funding stream most directly relevant for SEL is Title IV (21st Century Schools). Titles I (Improving the Academic Achievement of the Disadvantaged) and II (Preparing, Training, and Recruiting High-Quality Teachers, Principals, or Other School Leaders) also provide opportunities to support SEL. In general, ESSA has three tiers of evidence ranging from Tier I (strong evidence) to Tier III (promising). An additional tier (IV) involves interventions that lack evidence to date but seem likely to succeed and are currently undergoing evaluation. The authors identified 60 SEL interventions evaluated at U.S.-based K–12 schools that met evidence requirements for Tiers I–III. The majority of the 60 interventions were evaluated at the elementary school level and in urban communities. A substantial number of interventions have been validated with samples that mostly consist of students who come from low-income families or from racial/ethnic minority groups. 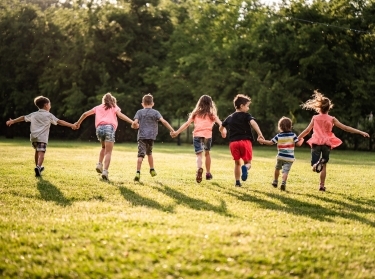 Most of the interventions reported positive results on building students' interpersonal competencies (e.g., prosocial behaviors, interpersonal communication, and social problem-solving skills), followed by intrapersonal competencies (e.g., attention, emotional regulation, and resilience). Several interventions also demonstrated positive results on school climate and safety, academic achievement and attainment, disciplinary outcomes, and civic attitudes and behaviors. Use this review to find SEL interventions meeting ESSA evidence Tiers I–III. Take advantage of Tier IV flexibility for interventions with no empirical research. Address local conditions to facilitate effective intervention implementation. Look beyond explicit interventions when designing approaches to promote SEL. Provide professional development and other supports to build educators' capacity to gather and use evidence. Continue to improve SEL measurement. Provide feedback on remaining ambiguities of evidence tier requirements. 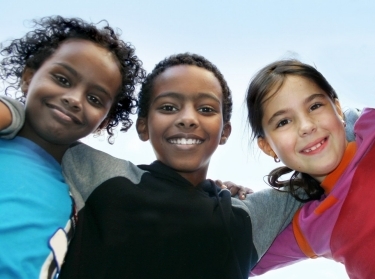 How Does the Every Student Succeeds Act Support Social and Emotional Learning? How Does the Every Student Succeeds Act Define Evidence? The research described in this report was commissioned by The Wallace Foundation and conducted by RAND Education. Grant, Sean, Laura S. Hamilton, Stephani L. Wrabel, Celia J. Gomez, Anamarie A. Whitaker, Jennifer T. Leschitz, Fatih Unlu, Emilio R. Chavez-Herrerias, Garrett Baker, Mark Barrett, Mark Harris, and Alyssa Ramos, Social and Emotional Learning Interventions Under the Every Student Succeeds Act: Evidence Review. Santa Monica, CA: RAND Corporation, 2017. https://www.rand.org/pubs/research_reports/RR2133.html. Also available in print form.